If you are signed up for an Online or Hybrid Course (the section number would have an E or an HE in front of it, for example HI 101 E01 or HI 101 HE1), you must ensure that you are logged into Blackboard (the online course management system) to be able to do your work for the course. 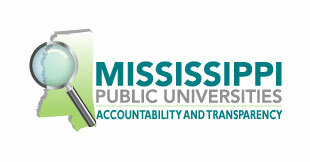 To log in to Blackboard, visit https://www.mvsu.edu/online-students. If you are not successful call 662-254-3114 or 662-254-3624 to gain enrollment into Blackboard and to obtain your Blackboard username and password. You can also contact our Online Learning Technologists in person at the OPL Education Building, Office 118 or 124. Don’t delay gaining access to your course. Online students, Dual Enrollment students and students enrolled in courses at the Greenville Higher Education Center, Coahoma Community College, and Holmes Community Colleges can access student services using the links below. STUDENT RECORDS –Register for courses, drop/add courses, request a transcript, etc. UNDERGRADUATE ACADEMIC CATALOG – Access academic regulations, programs of study, course descriptions, etc. GRADUATE ACADEMIC CATALOG – Access academic regulations, programs of study, course descriptions, etc. For more information concerning Distance Education Programs, please contact: Dr. Kenneth Done, Assistant Vice-President for Online and Distance Education 662-254-3625, Mr. Mack Pendleton, Online Learning Technologist 662-254-3114 and Mrs. Debora Jackson, Office Manager 662-254-3913.